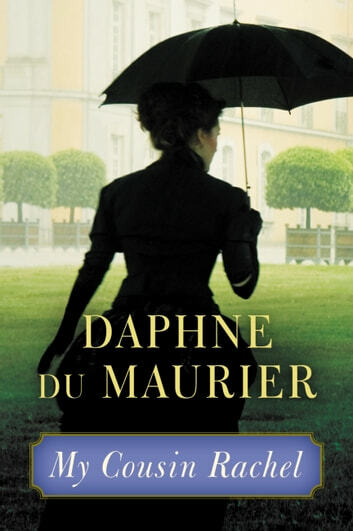 Daphne du Maurier's classic novel of lust, suspicion, and obsession--now a major motion picture starring Rachel Weisz and Sam Claflin. Orphaned at an early age, Philip Ashley is raised by his benevolent older cousin, Ambrose. Resolutely single, Ambrose delights in Philip as his heir, and Philip grows to love Ambrose's grand estate as much as he does. But the cozy world the two construct is shattered when Ambrose sets off on a trip to Florence. There he falls in love and marries a mysterious distant cousin named Rachel--and there he dies suddenly. Jealous of his marriage, racked by suspicion at the hints in Ambrose's letters, and grief-stricken by his death, Philip prepares to meet his cousin's widow with hatred in his heart. But when she arrives at the estate, Rachel seems to be a different woman from the one described in Ambrose's letters. Beautiful, sophisticated, and magnetic, Philip cannot help but feel drawn to Rachel. And yet, questions still linger: might she have had a hand in Ambrose's death? And how, exactly, did Ambrose die? As Philip pursues the answers to these questions, he realizes that his own fate could hang in the balance.